We have previously covered the 10 best event tech and planning blogs that you should be following- Happy to say that all are still relevant in 2016 : ). This time, we will cover a couple of extra ones. Keep an eye on them to stay up to speed while planning corporate meetings and events. Since 1965, Meetings & conventions magazine has been helping meeting and event planners in corporations, associations, incentive houses and independent planning companies excel at their jobs and effectively manage their careers. Features monthly print publication + online. Has original research, articles archive, facility search engine and breaking news. From catering, decor, entertainment to event tools, rentals and venues. From corporate to private. Great information resource and blog- Special Events has it all! 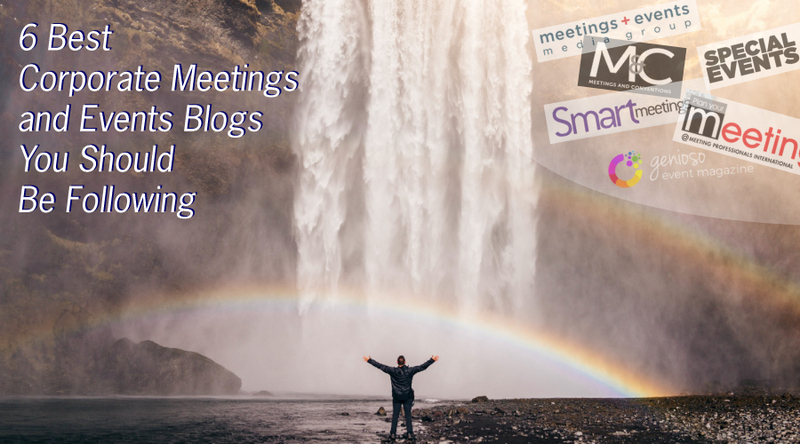 Plan Your Meetings is designed to educate, empower and inspire meeting planners and connect them to the resources and ideas they need to plan better meetings and events.